This is an IDE Extension for Visual Studio 2013 that has additional features for working with TFS projects. 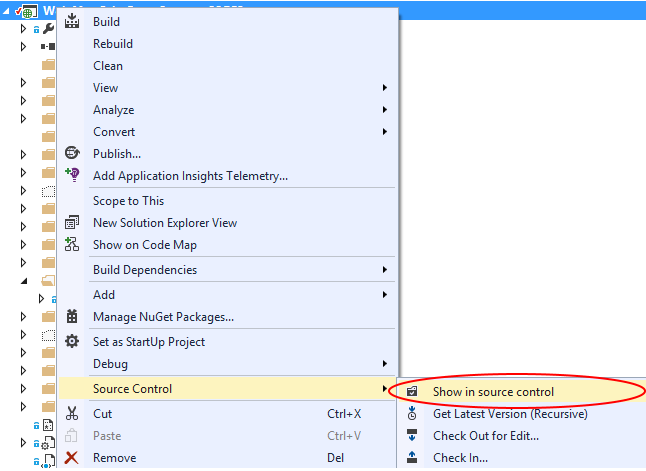 It allows navigate to Tfs Source Control Explorer from Solution Explorer just in one click on context menu of selected item. new context menu item added for solution items. See screenshot below.